Local favorite Reilly Opelka will take on Diego Schwartzman on Saturday night, in the second round of the ATP Masters event in Miami. Opelka is having an excellent start of the season, and it looks like this will be the year in which he affirms himself as a Top 30, or at least Top 50 player. 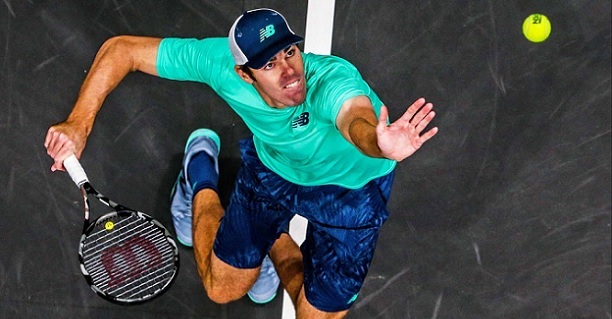 The huge serving American has wins over Isner (twice), Ramos or Mannarino in 2019, and won his first ATP title just one month ago, in New York. Opelka suffered a disappointing loss to Leo Mayer last week in Indian Wells (missing a ton of break points), but started off very well here in Miami – passing qualification and defeating Struff in the first round, with Struff being in very good form lately. Schwartzman is not playing very well right now. The petite Argentinean lost 4 of his last six matches, and is 2-2 on hard courts since returning from the South American clay court stretch. Schwartzman played Acapulco and Miami in the last few weeks, claiming wins against a completely out of form Copil and a clay courter in Carballes Baena, while losing to Norrie and getting destroyed by Nadal. Bet on Opelka vs Schwartzman and get your 100% (120 Eur) freebet at LSbet now! The H2H is 1-0 for Schwartzman, with the only meeting being on hard court. But it was in 2017, when Opelka was not at his current level. It will be a clash of styles between the massive serve of Opelka and the baseline movement of Schwartzman. Opelka is looking pretty good this week, and he was pretty solid in the first round against Struff. He is in rhythmn after playing qualies, and will look to take advantage of Schwartzman’s shaky form, and on the fact that this will be the first match of the week for Diego. Schwartzman will definitely need to up his level a bit against a big server like Opelka, because he won`t have many chances on the return. His own serve is not the best, so if he starts making errors and / or playing tentative, Opelka will be able to attack it (especially the second) and give himself break point opportunities – which would likely be decisive. Schwartzman is rated as a favorite by the bookmakers, but this looks more like a 50-50 match, maybe (probably) with an edge for Opelka. If odds were reversed I would definitely not take this bet, but at the current price I`m happy to back the American with reasonably high stakes. As such, my tip will be Opelka to win. Prediction: Reilly Opelka – Diego Schwartzman 7-6 3-6 7-5.